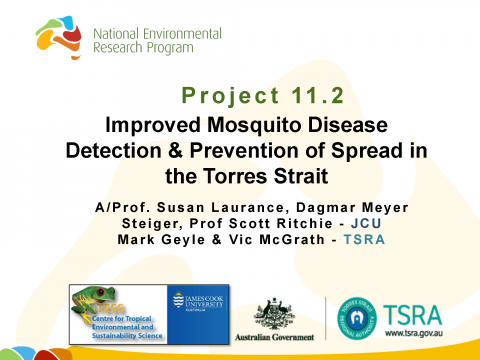 Susan Laurance (JCU), Dagmar Meyer Steiger (JCU), Scott Ritchie (JCU), Mark Geyle (TSRA), Vic McGrath (TSRA); Improved mosquito disease detection and prevention of spread in the Torres Strait; Wednesday 5th November. 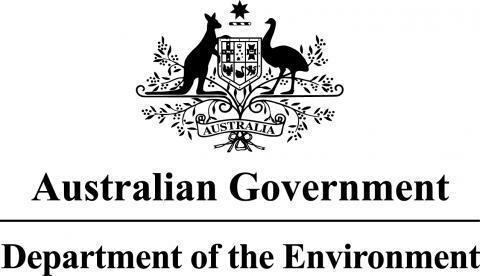 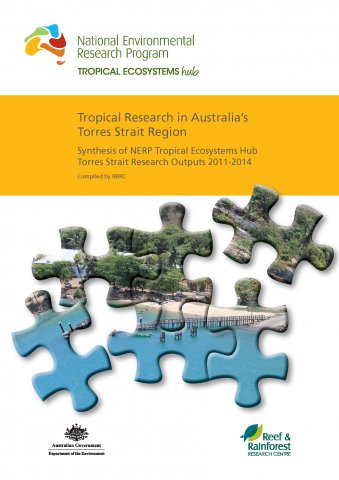 Johnson, J.E., Marsh, H., Hamann, M., Duke, N., Burrows, D., Bainbridge, S., Sweatman, H., Brodie, J., Bohensky, E., Butler, J., Laurance, S. (2015) Tropical Research in Australia’s Torres Strait region. 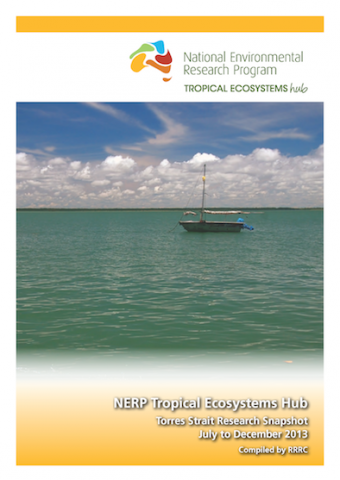 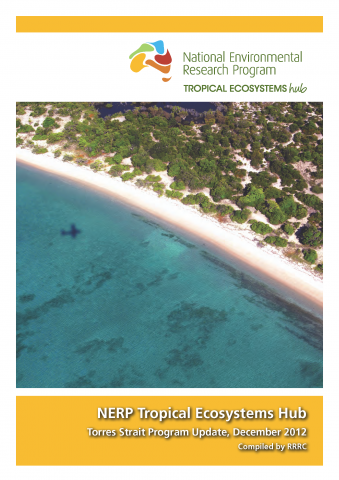 An update brochure of what's going on with the NERP Tropical Ecosystems Hub Torres Strait projects. 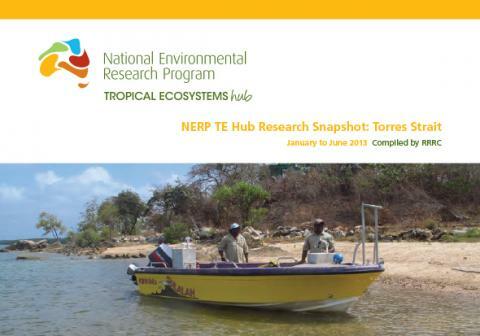 A snapshot of the research progress within the Torres Strait node for January to June 2013. 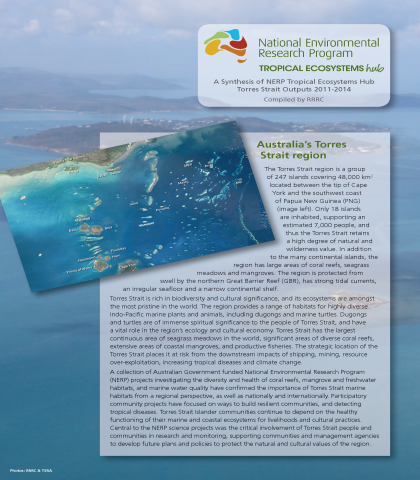 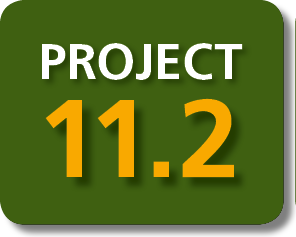 A snapshot of the research progress within the Torres Strait node for July to December 2013. 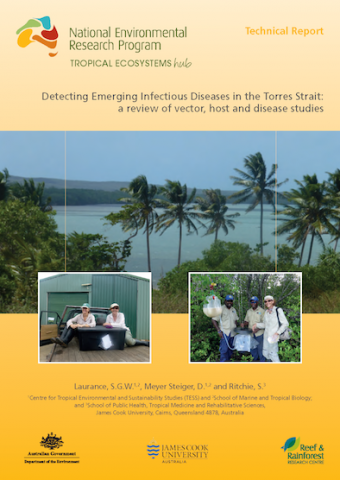 Laurance, S.G.W., Meyer Steiger, D., Ritchie, S. (2014) Detecting Emerging Infectious Diseases in the Torres Strait: a review of vector, host and disease studies.